Dr. Kate’s writing focuses on military health, evidence-based mental fitness, and peak performance. The very word veteran calls to mind the image of a man. 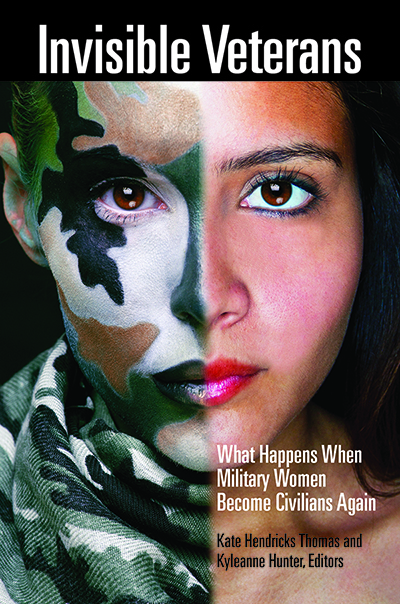 Yet there are currently over 2 million women veterans in the United States. Many of these women served in the conflicts in Iraq and Afghanistan, and their participation throughout the spectrum of military operations, including in combat, is a first in our nation’s history. We’ve heard a small number of their war stories and the debate about combat integration and registering for the draft has riveted Sunday morning talk show hosts. However, their unique experiences reintegrating into society after military service have yet to be recorded, examined, and told. Invisible Veterans works to make those experiences visible. A powerful team of contributors lend their research and personal stories to this volume. Anyone can learn to be more resilient. 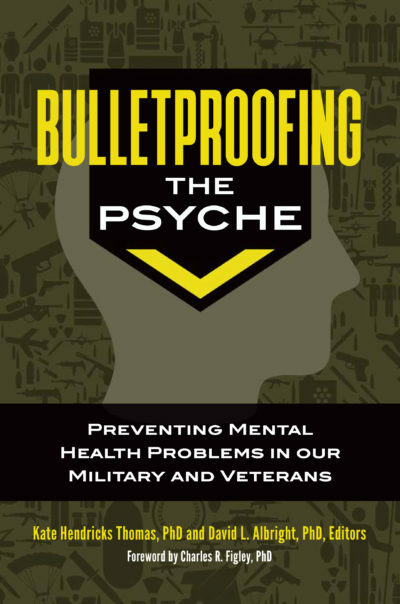 Bulletproofing the Psyche: Preventing Mental Health Problems in Our Military and Veterans editors have pulled together a team of leaders in the fields of security studies, social work, public health, and veterans’ health practice to outline the case for such skills-building. Mental fitness training methods include body-based protocols long used in the treatment sector to rewire brains after trauma. Weaving together personal stories from military veterans and the latest in holistic behavioral medicine research, this book offers a call to action and health for those interested in peak performance. 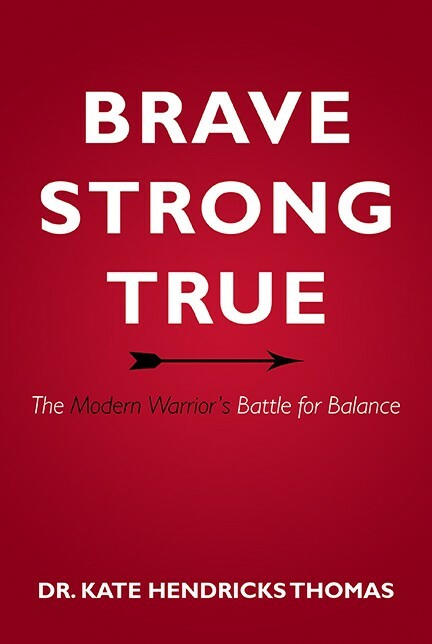 Brave, Strong, True: The Modern Warrior’s Battle for Balance is a practical call to health for America’s modern military warriors and those who support them. With a unique blend of personal narratives and current research, author Dr. Kate Hendricks Thomas explores this question: what if we could train America’s service members to succeed in mental battles as we do in physical ones? Transparent and honest, this book outlines clear strategies – including social support, self regulation, and spiritual practice – for readers to meet the challenge of living purposeful lives. 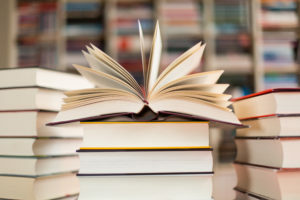 What does it mean to be a leader in today’s global knowledge economy? Using humor, science, and more than a few stories, this book will prepare anyone to answer that question. Maintaining balance, focus, and clarity as the pace of life picks up takes intentional training. The modern workplace needs leaders who can balance – not only by optimizing their own performance and resilience, but by teaching their teams to practice mental fitness.